You are probably wondering why this section even exists considering synthetic wigs actually means plastic. 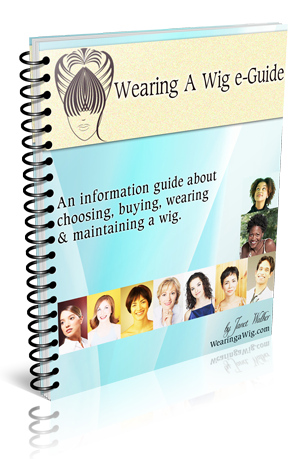 Well there are some ways you can re-style your synthetic wigs but you will have to practice. You will need to follow the instructions carefully because; any mistakes could ruin the wig completely. Once you change the style of your wig, you may not be able to get the original style back. You’ve been WARNED! These are basic methods I have used on my synthetic wigs and these have worked for me. Even though they have worked please practice on a small section at the back of your wig, just to be on the safe side. If you don’t feel confident changing your synthetic wig’s style then leave it alone. Or better yet simply buy a wig with the style you would like to have.